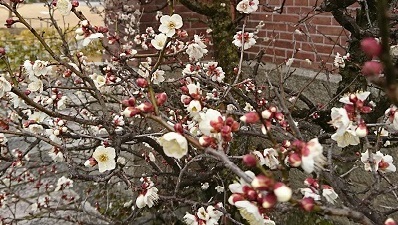 In front of the chapel, there was a Ume (=Japanese plum) in full bloom. 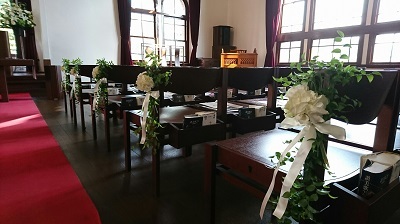 We held an “Inspection visit and consultation meeting for the wedding” at Doshisha University on January 22nd. We would like to thank all the guests for having come to join the event in the frozen weather. Some of the guests visited the campus for the first time since their graduation, and they strolled and looked around inside the chapel wistfully. 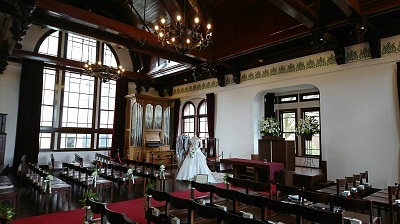 The wedding conducted with Christian religious service is really solemn. We are sure that getting married at your old school makes it more special. And the memory of the day will remain for long not only in the hearts of the bride and groom but also of all the guests. We thank again the guests who participated the event.